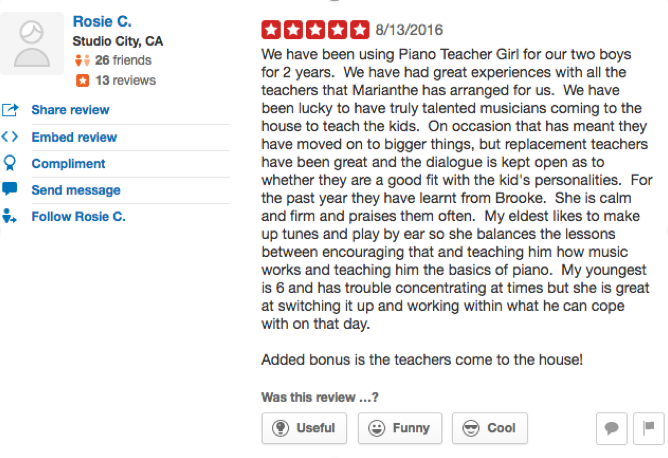 Don't be fooled by our name, we're more than just piano teachers! 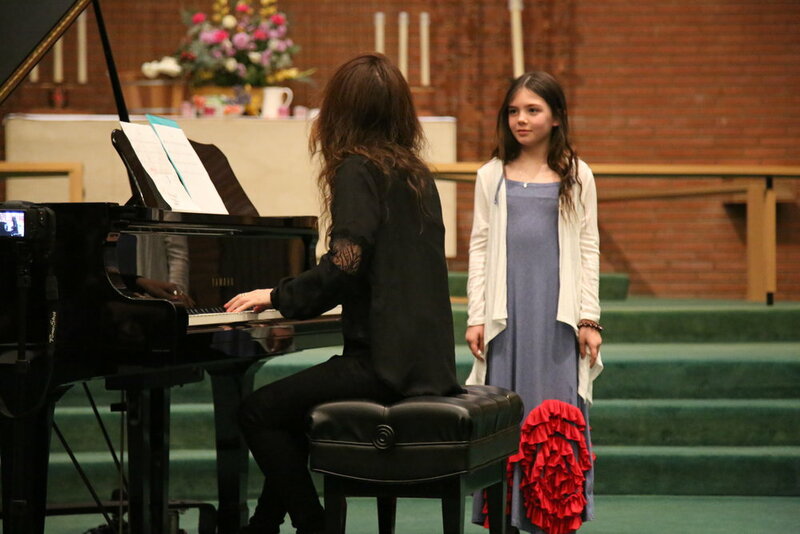 Piano Teacher Girl Music Academy was born out of the profound desire to find the greatest teachers in Los Angeles, and bringing them into people's homes to share their love and expertise in music with students of all ages and abilities. We teach Piano, Voice, Strings, Guitar, Percussion and more in the convenience of student’s homes! Our teachers hail from all over the world with degrees from some of the top universities. They are carefully selected and vetted so you are getting an experience from a teacher like no other. Masters at their craft, they are performers, and students of music themselves, with a passion for teaching students at the beginning or advanced levels, in a variety of musical styles. Whether you’re a parent looking for fun and structured music lessons for your beginning, intermediate or advanced student, or an adult looking to start learning how to play your instrument again, we will find a teacher for you that will help you achieve your goals. Today is the day to start your musical journey, let us help! Reed Perez is a hard working young pianist who is very passionate about learning more difficult piano pieces as his studies progress. He has a very eclectic in his musical interests and he has played a wide range of music, from recognizable classics like The Can Can by John Offenbach, The Star War’s Main Theme by John Williams, to 1980’s rock hit Take on Me by Aha, and many songs from modern movie musicals like La-La Land and the Greatest Showman. Reed is always very excited to learn new technical skills on the piano and he adapts quickly when he is shown a correction in a piece that he’s learning. He is a very focused student and has a lot of patience when he is facing something new and difficult. When Reed first started taking lessons at Piano Teacher Girl in May of 2017, he was at a beginner level and hadn’t yet ventured into the world of playing hands together. With a lot of hard work and dedication, he has flourished and he will soon be playing songs at an early intermediate level! He really is a great example of practice paying off! Reed has been working with his teacher Monique for several years and he is in third grade. Sign up to our mailing list to receive news, updates and special deals! Learn more about our talented teachers.